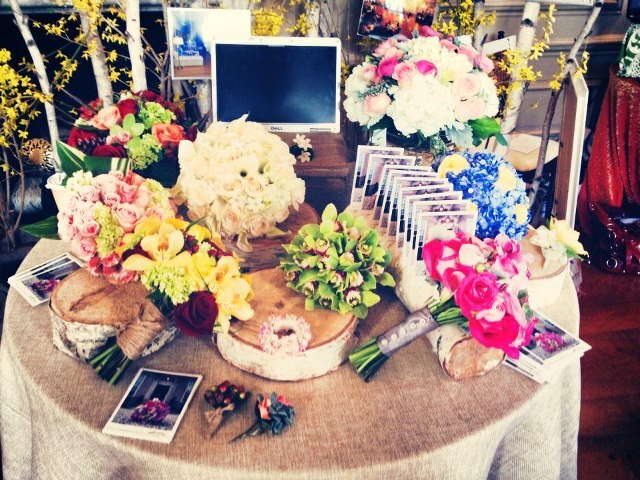 DME put together an absolutely gorgeous table at the Seaside Wedding Show at Castle Hill yesterday! Our team put their creativity to the test and came out swinging with a fun, colorful and exquisite design that caught everyone's eye! One aspect we were really going for, was making sure we showcased our work in a variety of ways. 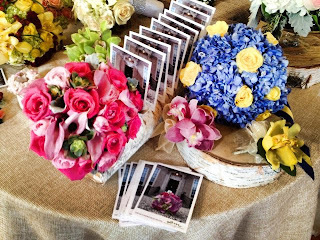 Rather than design a table with just one theme, we wanted to incorporate a little bit of everything - all four seasons, different color palates, and different textures - into our fabulous showcase! 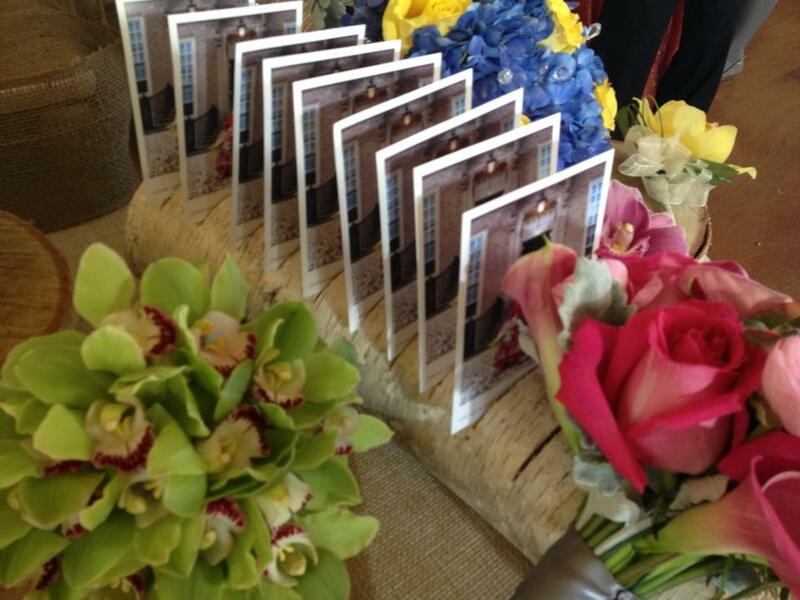 Here, we used some bright colors to showcase our designs for Spring and Summer weddings. The use of light pinks and greens gives such a fresh and romantic look, don't you think? 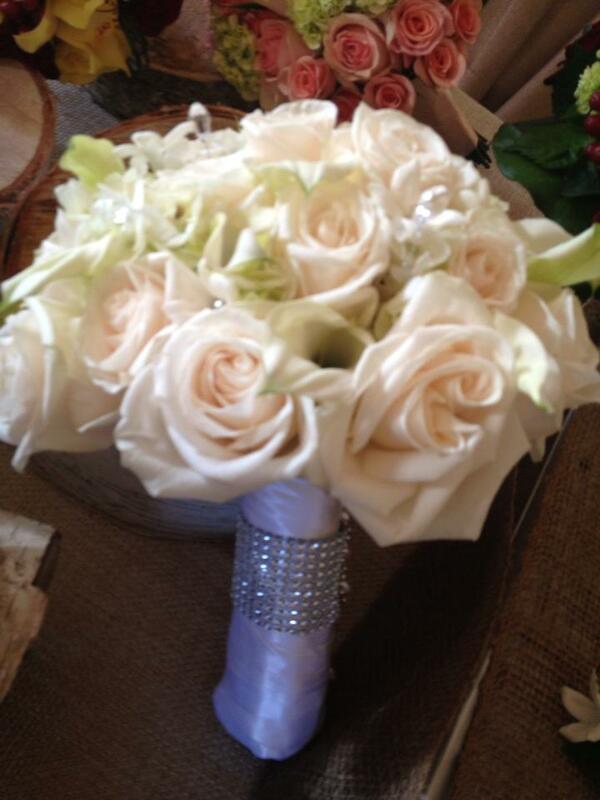 Also - this gorgeous white bouquet is more diverse than you'd think! This bouquet could be carried down the aisle at a Spring or Summer wedding for a fresh look, but it would also be a stunning piece for a Winter wedding. It gives you that romantic, Winter wonderland feel for a night-time December wedding! I absolutely fell in LOVE with this look! 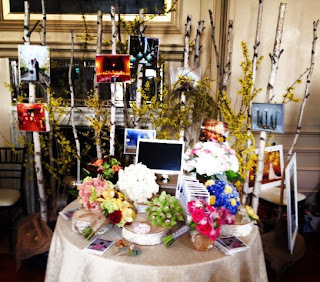 This is a unique way to incorporate birch into your wedding day. Birch is a popular go-to accent for centerpieces, welcome arrangements, and in this case, it could be used for seating cards! The great thing about birch, is that no matter what time of year you're big day is going to take place - birch will ALWAYS work! If you use bright pinks, greens and blues for a Summer wedding - the birch gives off an earthy, outdoor and relaxed look. If you use reds and whites for a Winter wedding - the birch will eccentuate the feel of a romantic Winter wedding! 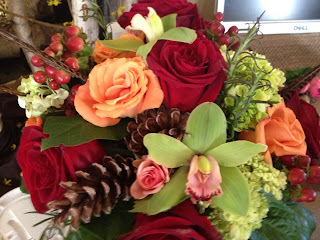 This gorgeous Fall wedding piece really incorporates the feel of the season. 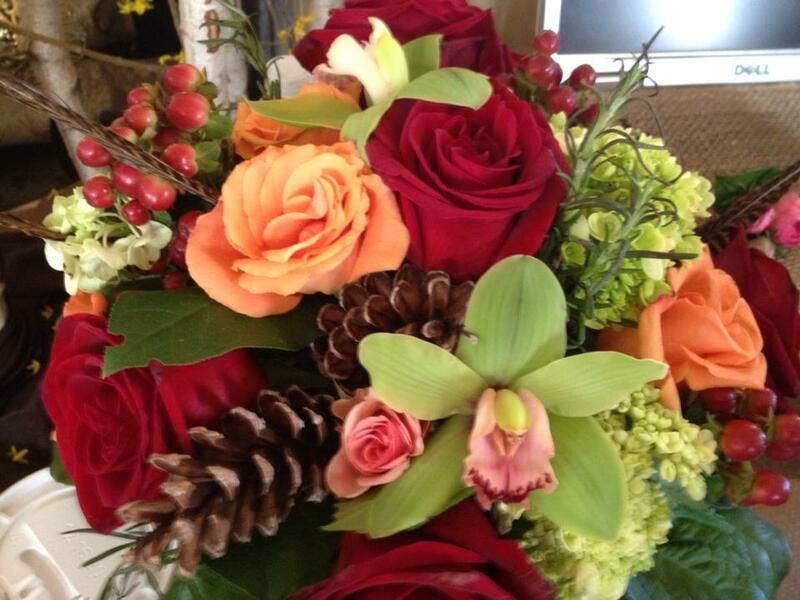 Obviously, the use of reds, oranges and greens go perfectly with a Fall-themed wedding. By incorporating pinecones and berries into the piece, it really ties the whole theme together even more. These extra minor touches can really make a difference in the overall design, so take notes, ladies! Here we have a couple different pieces for the bridal party. These pieces definitely show that no matter what theme you're going for - there are ways to showcase that using your bridal party, as well! These are so unique and fun!! Also - notice the burlap on the table? 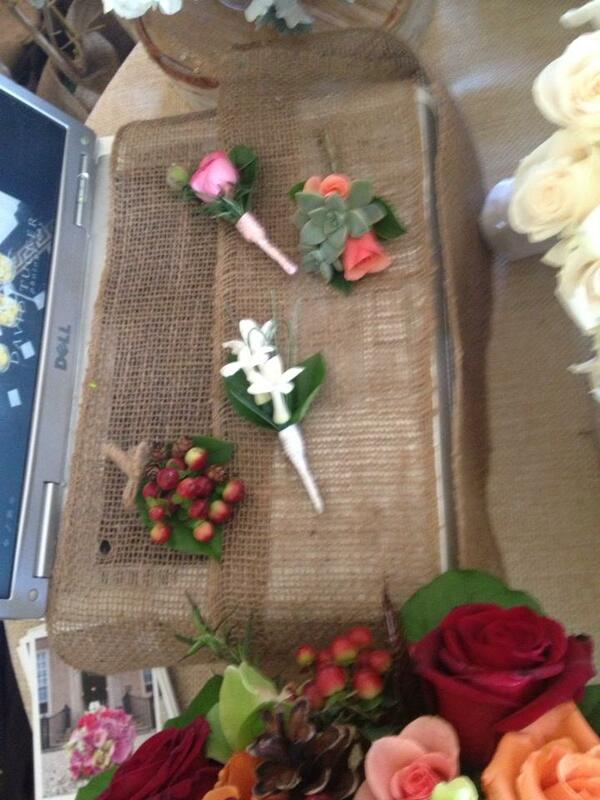 GREAT alternative for table cloths at your wedding, depending on whatever look you're going for! 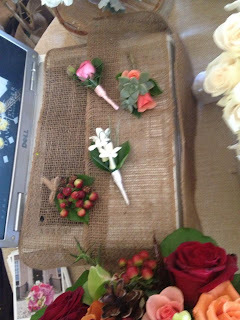 Here are some shots of the overall look of the table! Isn't it so bright and gorgeous!? 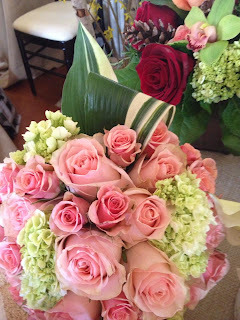 In the first photo below, you can see how many different ways to incorporate color into your floral pieces! Each one of these pieces stand out, but in completely different ways. The main piece I want to draw attention to in this photo is the backdrop. Those beautiful birch pieces with a pop of yellow. This design could be used at your wedding in a number of different ways - you could use it around the alter, behind the head table at the reception, guest photos could be taken with this as the background, etc. SO many different options, and its so unique!! We want to give a HUGE thank you to everyone who came to support DME at the wedding show! 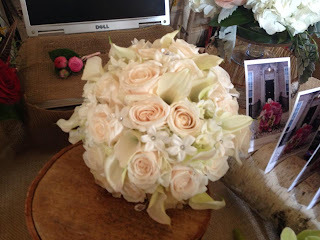 It was such an amazing day for us and all of our fellow vendors! We got to meet some great people and showcase our passion and we could not do it without all of our supporters, so thank you and we hope to see you at our next show! Food Friday - Breakfast for Dinner?